We are humbled and honored to provide trusted garage door service. At Garage Door Repair Humble, we are focused on customer care. Everything we do is designed to improve customer service. We guarantee every service we provide. Our experts practice strict attention to every detail. There is not a brand our techs won’t service. Call us for repair service and we will come out the same day. Our goal is to respond within the hour to provide a cost-effective solution. 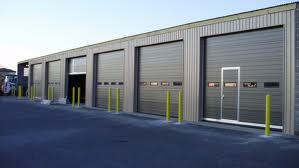 We offer commercial garage doors service from a seasoned pro. As a business, you deserve quality commercial garage door service you can trust. You need a company that is willing to respond urgently to provide the service you need. Our friendly techs treat you and your business with respect. We offer much more than a warm smile. We are mindful that you have a business to run. You can’t afford to operate with a broken garage door system. Let us use our extensive know-how to fix the problem fast. Our experts offer commercial garage door repair quickly and skillfully. There are many issues that could cause your door to stop working. The door could become jammed by a bent track. A cable could snap or slip off the drum. The opener could go bad or the springs could break. Problems with struts, rollers, and hinges could cause your door to hang up. Our experts can resolve these issues in quick time. We know what to look for and what to do when we find it. We offer outstanding commercial garage door opener repair service. Our techs service all brands and types of motors. You should also call us for expert commercial garage door springs repair. We will fix or replace torsion or extension springs. You can also call us to provide attentive commercial garage door installation. We will offer you a great door and install it at your convenience. We are humbled to provide our business community with quality service. Contact us today for impeccable commercial garage door repair in Humble, Texas.